The verdict of Bridget Kirouac’s case is a clear sign that public perception of cannabis is indeed shifting: the plant is medicine. In the state of Florida, cannabis remains illegal both medically and recreationally. However, the verdict of Bridget Kirouac’s case is a clear sign that public perception of the plant is indeed shifting. Although she faced charges for growing the herb illegally, the jury did not find her guilty. In fact, their reason is giving Floridians hope, as well as us all. And that reason is: the plant is medicine. To begin with, Bridget Kirouac’s doctor in Maine prescribed her with medical marijuana. Specifically, to treat her chronic pain that opioids failed to relieve. Being that Maine embraces the healing abilities of the herb and has since it became medically legalized in 1999, Kirouac received the help that she desperately needs. However, Florida remains to be quite a strict state when it comes to cannabis. Not only is it illegal to use recreationally, but also for medicinal purposes. With this in mind, Kirouac had no choice but to live the life of what the state would consider “a criminal” to treat her medical condition. With no other options, Kirouac began growing her own medicine and in return faced arrest for manufacturing cannabis. Many of the medications she failed because she couldn’t tolerate the adverse affects, some she failed because they simply couldn’t help her. I believe that this medication could relieve a significant amount of human suffering. Not only did Kirouac have her doctor on her side, but her attorney put together a defense that the jury just couldn’t deny. Indeed, Michael Minardi, Kirouac’s attorney, prepared a medically-necessary defense that was far more superior that the crime she faced, which could put her behind bars for up to five years. As a result, the jury didn’t have a choice but to side with her. They saw no criminal or corruption present in the room that day. They should not be prohibited from using it, they should not be prosecuted, brought to court, brought to jail in handcuffs like I was for hurting no one. Attorney Minardi couldn’t help but be emotional after that statement. We’re talking about people’s lives here. We’re talking about suffering and dying people. And if you don’t have compassion for that…you’re not human. Although this is a sure sign of victory being that someone finally sided with a woman simply trying to get her medicine without harming anyone, Kirouac still isn’t completely free. Unfortunately, Kirouac isn’t permitted to use medical cannabis just yet. However, she and her attorney look forward to voting for marijuana to become medically legal in November. 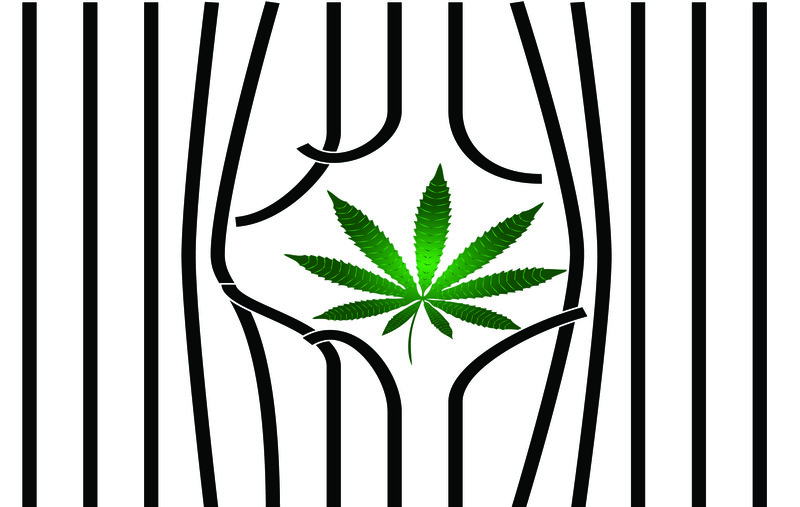 Nevertheless, her case should still bring hope to individuals that await their chance to enjoy the plant freely. And do check out the emotional yet heart-warming video below. Did Bridget Kirouac’s case bring you a dash of hope? Do you think we will begin to see more of these cases in other states where cannabis remains illegal? Share with us on Facebook, Twitter, or in the comments below. We would love to hear from you.